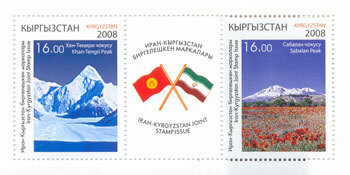 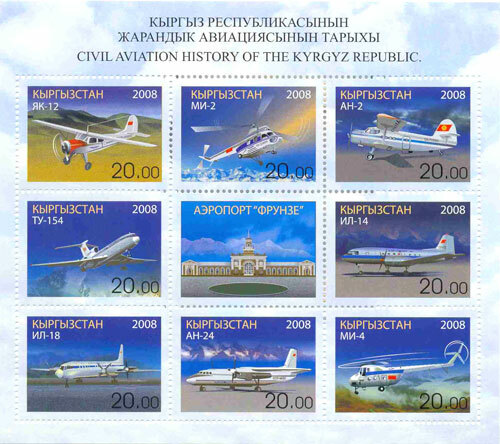 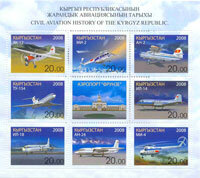 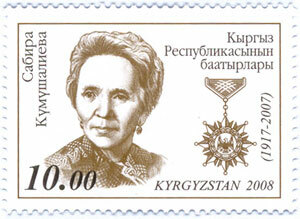 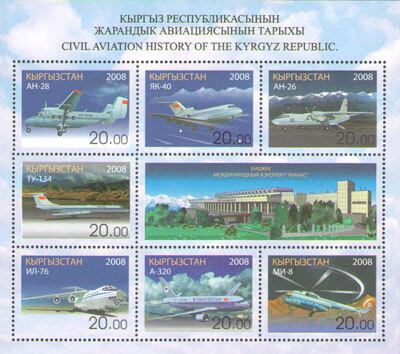 ..:: Postage stamps of the Kyrgyz Republic 2008 ::.. 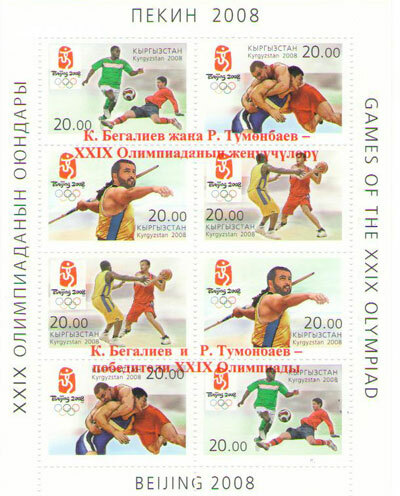 There are appearances of our representatives of the most popular kinds of sport in Kyrgyzstan – football, wrestling, track and field athletics and throwing the pike. 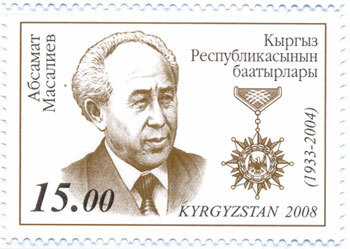 The seventh standard issue. Kyrgyz Post. 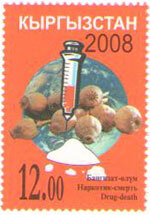 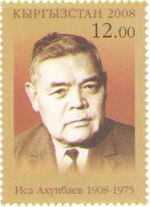 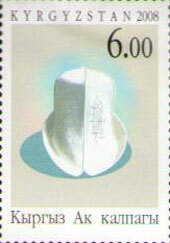 Date: 05.04.08, series of 1 stamp. The seventh standard issue. 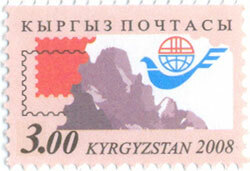 Kyrgyz Post. . 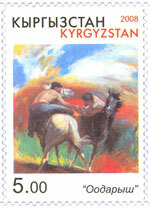 Continuation of the series. 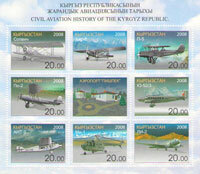 History of the Kyrgyz aviation. 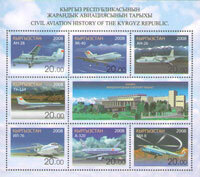 Airport Frunze. 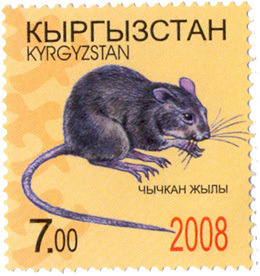 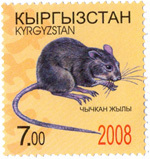 There are types of Kyrgyz national headdresses on the stamp. 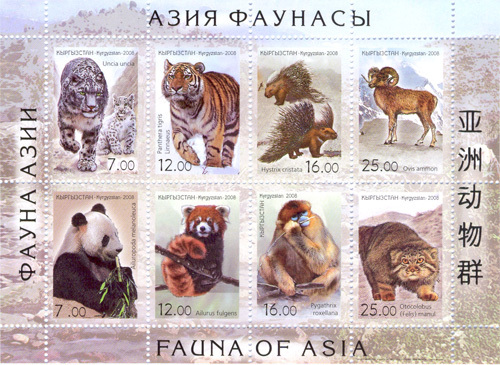 There are species of yaks on the stamp. 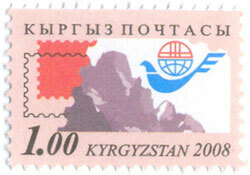 Date: 30.08.08, series of 1 stamp. 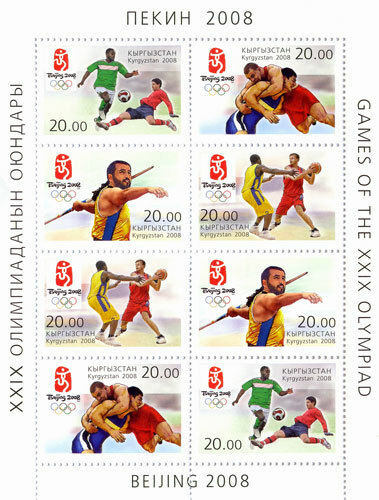 Overprint on small sheet "XXIX Olympic Games in Beijing"
Date: 22.11.2008, small sheet of 4 stamps.